The church is available to hire for a variety of functions. It seats around 50 in the north nave, although the seating arrangements are flexible. Contact our office (01745 532581) for a Booking Form, to arrange one-off events or long term hire. 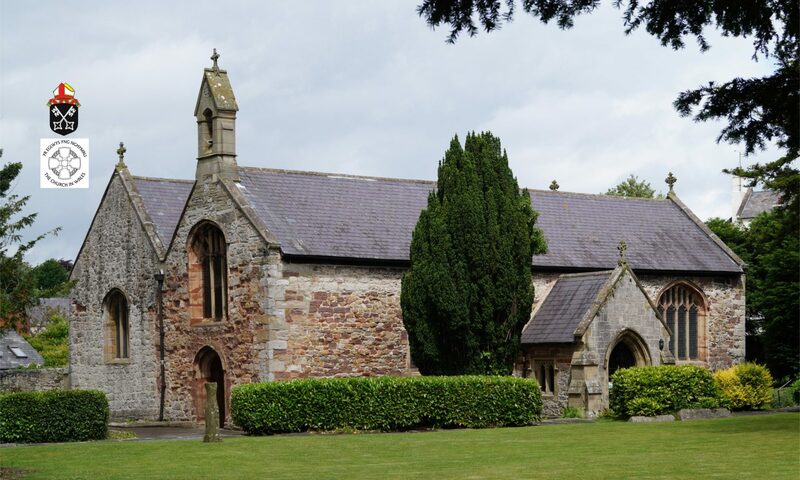 The Denbighshire Youth Service hold a youth club at the church every Monday evening from 6.00pm to 8.00pm, where various activities are held inside the church and also outside in the church-grounds when the weather is kind. The ‘club’ closes for the school holidays. The youth leader is Gareth Davies, who is ably supported by three leader assistants who all ensure that a variety of interests and activities are catered for; the number of leaders present also ensure that support is very well provided and that there is always good safety cover for the young people. The church provided the ideal atmospheric location for an evening of music last April, when the Ensemble 1677 performed a programme of Easter-orientated early music interspersed with more general secular compositions. Ensemble 1677 was founded in 2016 by John Hosking (Assistant Director of Music at St Asaph Cathedral) and the soprano Olivia Hunt; on this evening they were joined by other members of their ensemble – Francis Hills (countertenor), Richard Griffiths (countertenor), Bethan Royles (violin), Sarah Williams (recorder), Ed Wadon (cello), Grace Dixon (oboe, and the renowned organist Graham Eccles (percussion). A thoroughly enjoyable evening was concluded with appetizing refreshments provided by members of the congregation. A Forget-me-Not tea party is held each month in the church, where a warm welcome awaits for those living with Alzheimers and other forms of dementia, and their friends, relatives and carers. A wonderful atmosphere is created with music, singing, games and much banter. This is traditional tea party with home made cakes and tea, as you would expect, in china tea-cups and it’s free to all. Please join us; or if you need any information then please contact either Marion Hughes (07841 160430) or Sue Last (01745 730060 ) who will be pleased to help. Please check the ‘News’ page for details of the dates and times. For six weeks during July and August 2017 the St Asaph Choral Society, under the direction of Graham Eccles and John Hosking were practicing at the parish church. An ideal venue, where they had the choice of using the electric piano, digital organ, or the pipe organ. St Asaph Parish Church is a charity.